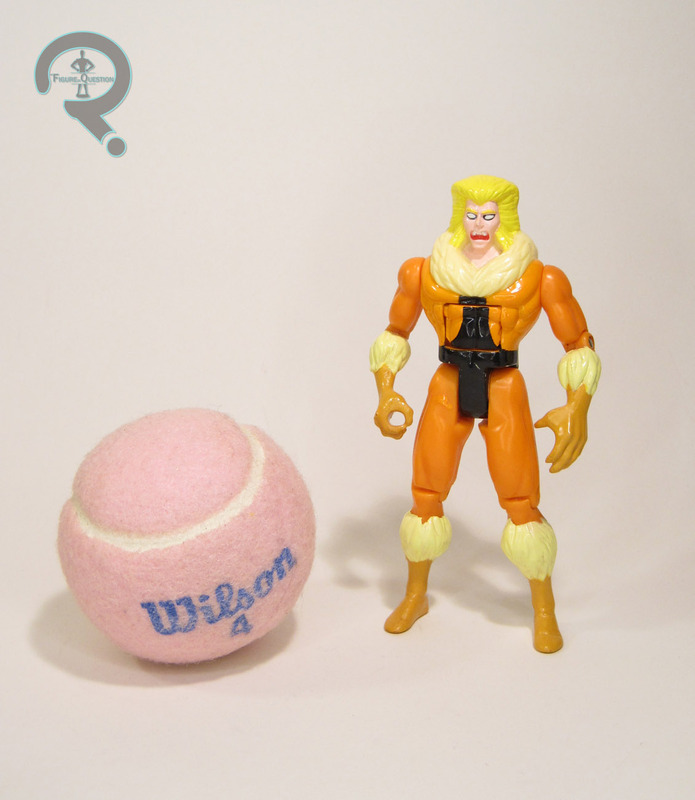 I can’t believe I’ve never reviewed a Sabretooth figure on this site. That seems a little nuts, doesn’t it? As the dark reflection to Wolverine, Victor Creed has hardly been scarce when it comes to toys. Prominent placement in several cartoons, not to mention two of the X-Men movies, have made him fairly prominent. Almost makes you forget he wasn’t originally an X-Men villain at all, but instead faced off against Iron Fist in his debut appearance. Who would have guessed he’d have taken off quite this way? 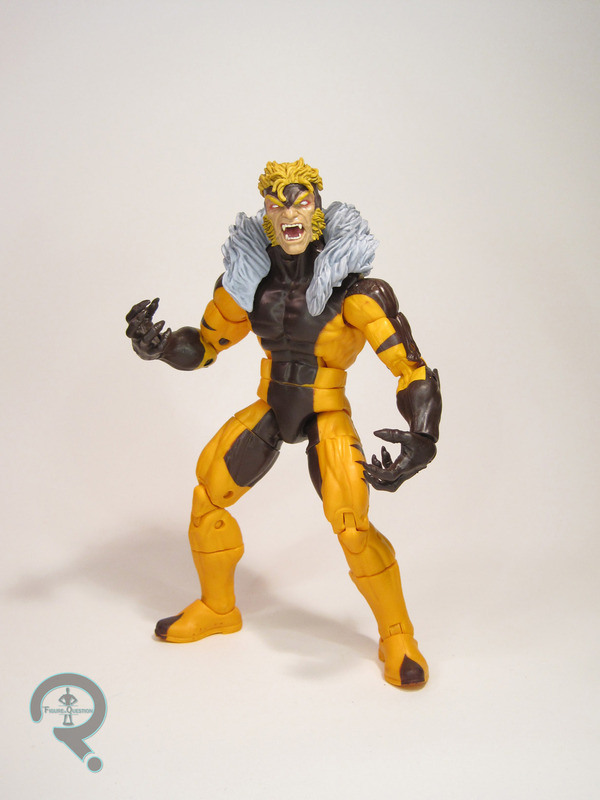 Sabretooth is figure 4 in the Apocalypse Series of Marvel Legends. This marks Sabretooth’s fifth time getting the Legends treatment. This one follows the original figure’s lead, and presents Sabretooth in his Jim Lee-designed costume from the ’90s. While I’ve always had a soft spot for his first appearance design, there’s no denying that this is the definitive take on the character, and it’s in keeping with the running sub-theme to the recent X-Men assortments, which have given us quite a few of the Jim Lee designs. The figure stands 7 inches tall and he has 32 points of articulation. Like yesterday’s Gladiator figure, Sabretooth is built on the Hyperion body. Not necessarily the most up-to-date body, but it’s the same one that was used for the last Legends Sabretooth, and it’s at the very least a good match for his general build. He gets a new head sculpt, tweaked forearms, and an add-on piece for his “mane.” He also makes use of the same clawed hands as his last release (which were also used on Venom). The head is a fantastic piece, which matches well with the character, and has a very dynamic, very expressive look to it. The lower jaw is a separate piece, which means its got some slight seams on the edges, but they’re not anywhere near as obvious as I’ve seen from similar construction on other figures. The mane is a handy piece, because it masks the main issue with the base body, which is that odd torso shelf. With it in place, it’s hardly an issue, and the piece itself is quite nicely sculpted, matching the head in terms of dynamics (a marked improvement over the rather flat piece from the original Toy Biz figure). Topping it all off are some solid claw hands and forearms with elbow spikes, which all add-up to a very pointy guy. 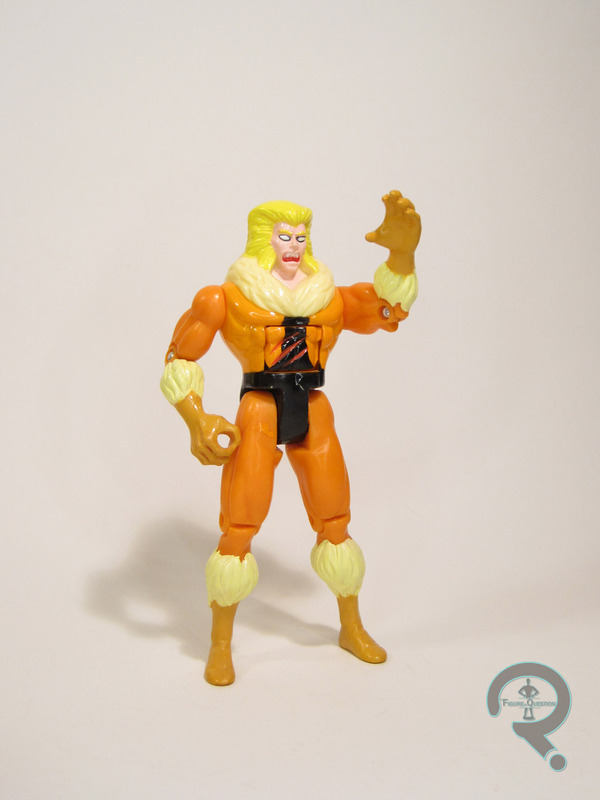 Sabretooth is up to the standards we’ve come to expect from Hasbro’s recent crop of Legends. Application is pretty clean overall, and he’s bright and rather eye-catching and the two-toned nature of his costume has a satisfying contrast to it. Sabretooth has no extra parts of his own. While I wouldn’t have minded an extra head or maybe some fists to swap out for the claws, his larger stature prevents him from feeling too light. He does include the left arm of the Build-A-Figure Apocalypse, which is certainly a plus if you’re looking to build that (which I am). 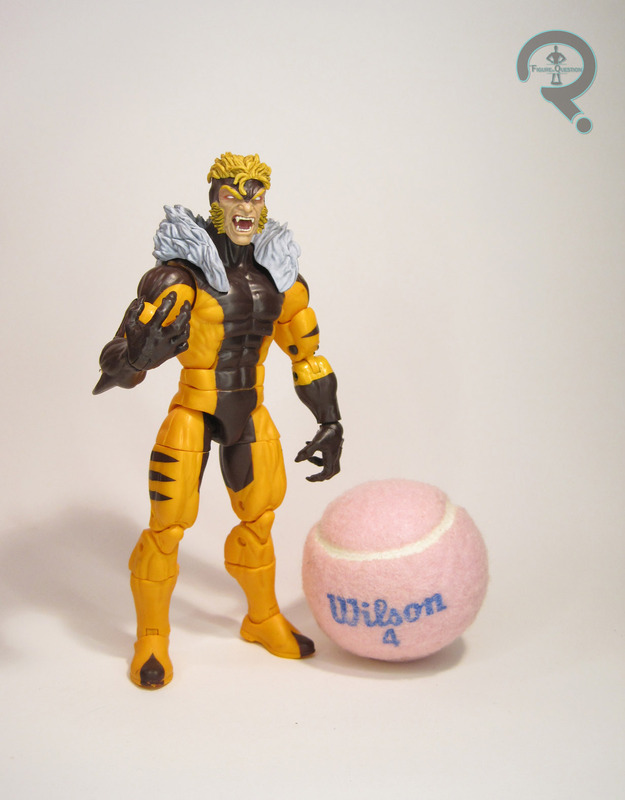 Back in the day, I was actually quite a fan of my old Toy Biz Legends Sabretooth. As the years have gone on, of course, he’s started to look a little out-dated. Hasbro’s last version wasn’t easy to find, or a variant of the character I was particularly interested in. So, when this guy showed up in this line-up, I was intrigued, though I’m not sure he was at the top of my list. I’m pleasantly surprised by this figure. He’s quite well-handled, and an important version of an important character. When paired up with this assortment’s Wolverine, he just exudes the best sort of ’90s animated goodness. Sabretooth was purchased from my friends at All Time Toys and he’s currently available here. If you’re interested in purchasing other Legends figures, or are looking for other cool toys both old and new, please check out their website and their eBay Store.